EDITOR'S NOTE: This story has been corrected to note that the Volkswagen models that will offer an automatic braking system for model year 2016 include the Golf and Jetta. The touch screen offered as part of an upgrade package will be 6.3 inches. SAN FRANCISCO -- From airbags to traction control, luxury cars have defined the vanguard of automotive safety, pioneering the technologies that migrate to mass-market models as costs come down. Volkswagen Group has long sold sensor-based crash prevention systems in high-end models from Audi, Porsche and Bentley. On Wednesday, the German automaker showed the trickle-down effect in action as it detailed plans to roll out features such as adaptive cruise control, blind spot monitoring and automated parking across its entire U.S. lineup of the plebeian Volkswagen brand for model year 2016. Many of these features have previously only been available on the premium-priced Touareg. 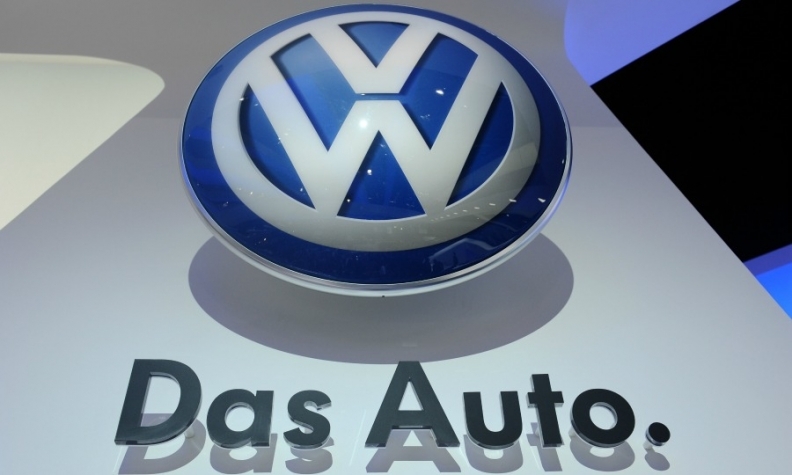 Volkswagen decided the time had come “to democratize these technologies,” Volkswagen Group of America CEO Michael Horn said in a statement. Most of these features are intended to protect against driver error. A new automatic braking system offered on models such as the Golf and Jetta, for instance, will bring a speeding car to a halt from up to 18.6 mph (30 kph) to prevent a crash. Offering the features will help Volkswagen compete against rivals such as Honda, Toyota and Hyundai, which already offer such features in their core models. Volkswagen will mostly offer the feature in “driver assistance” packages costing between $695 and $1,495 for its core models. Also on Wednesday, Volkswagen announced that its whole lineup, except for the Touareg SUV and the soon-to-be-discontinued Eos convertible, will have touchscreen infotainment systems for 2016. The first cars arrive in showrooms this month. Core models like the Jetta, Beetle and Tiguan will come standard with a 5-inch touchscreen, with an option to upgrade to a 6.3-inch touchscreen. VW said all 2016 cars with the larger screen will support the CarPlay interface for Apple Inc.’s iPhone, Google Inc.’s Android Auto and MirrorLink, a competing interface championed by smartphone manufacturers such as Samsung. That would make Volkswagen one of the first several brands to widely offer the new interfaces, along with Hyundai, Honda and Chevrolet.